Pulling demographics has never been easier. 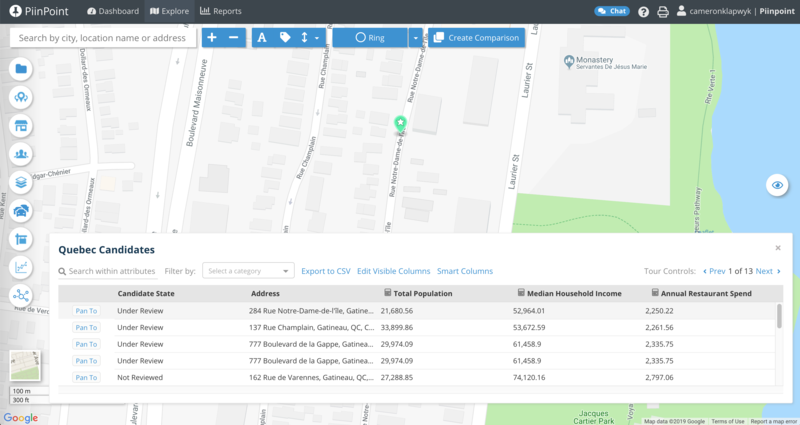 With Smart Columns, you can automatically append any demographic criteria to an entire set of points, based on a unique trade area. 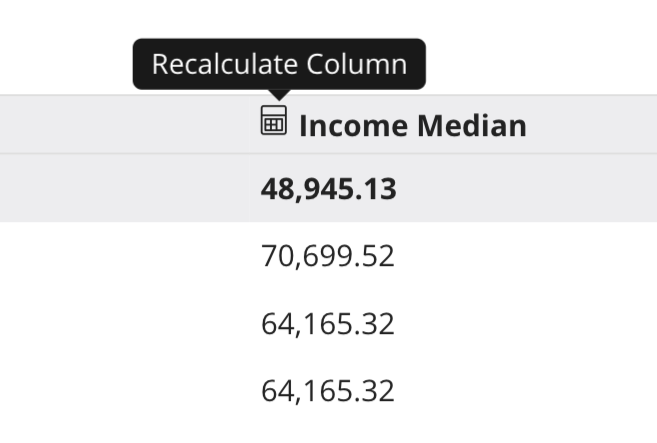 Why would I use Smart Columns? And the list can go on..! How is this different than using demographics in a Quick Comparison or Comparison report? 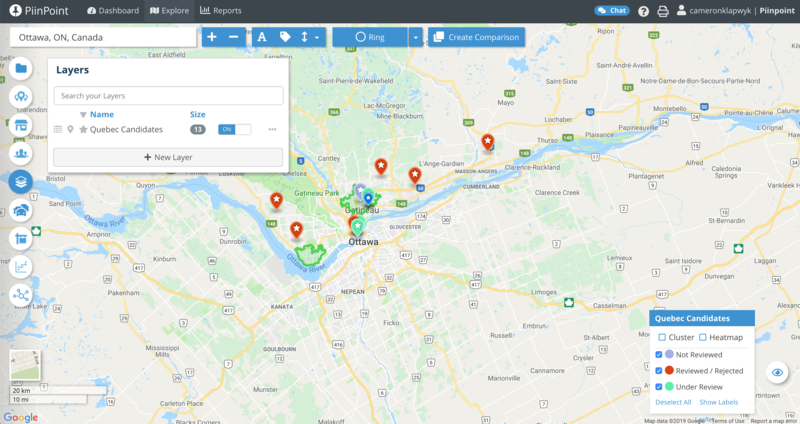 Appending demographic data to a set of locations in PiinPoint used to be accessed within a Comparison Report set. Now you can do it right within your Layers panel. 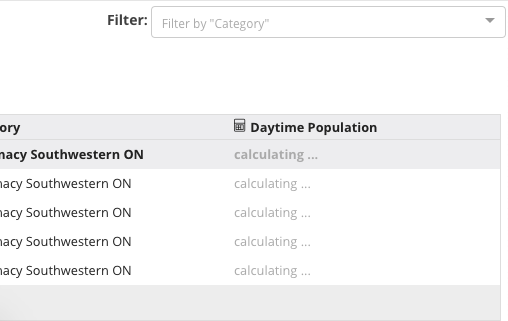 To take advantage of Smart Columns, you'll need to have some Demographic Criteria selected, and a Layer prepped that you want to calculate data for. 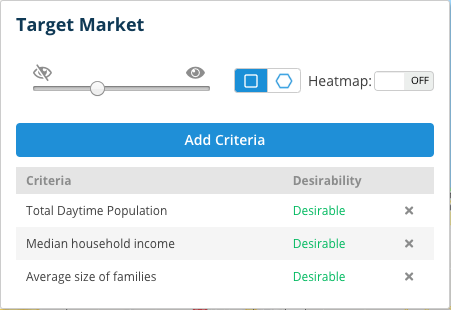 Pop in a few variables to the Target Market Panel, like Total Daytime Population, family size, etc. For more information on creating or uploading Layers, check out our docs here and get set up. 3. Go into your Layer's Attribute Table. 4. Your Attribute Table will appear. From the Attribute table, you can pan to a certain point, hide columns, edit the data, do a site tour and more. Learn all about the Attribute table in our docs here. Remember when you picked the different demographic variables in Target Market? Those selections will populate the dropdown in Smart Columns. One you've set up the columns and saved the selections, you'll see the new column show up and it will calculate the demographics on each point in the Layer. Smart Columns are going to double in power, with the ability to append POI proximities to any layer as well! This allows you to quickly understand how your locations interact with other locations, e.g. what is the nearest store for each of your customers? Still got a question about Smart Columns? Don't hesitate to contact your Customer Success Manager in the app or email support@piinpoint.com.